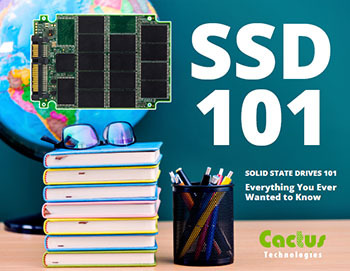 Austin, TX, March 2, 2016	(Newswire.com) - Cactus Technologies just published the Solid State Drive 101 EBook, which is comprised of 30 pages of in depth information which clearly illustrates and details basic to more advanced features of Solid State Drives. 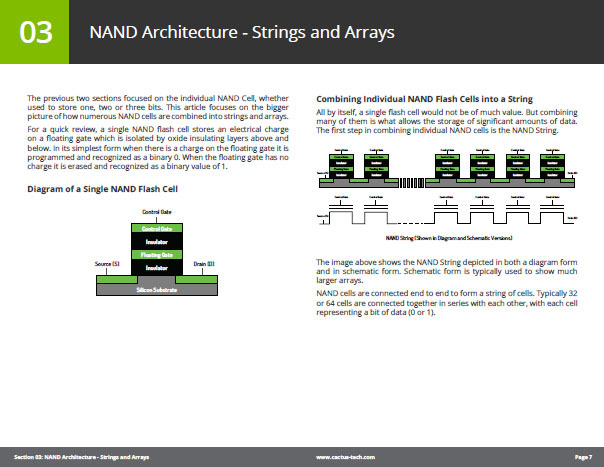 The EBook describes solid state drives from the basic NAND cell and architecture to controller architecture and functions. 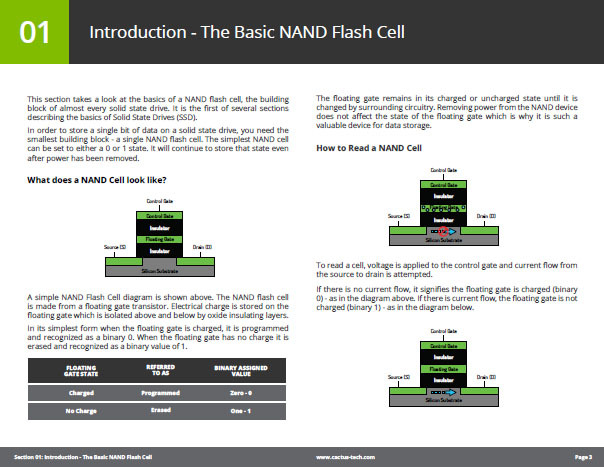 This free SSD resource is broken into 13 different sections as depicted below.